Tigard High's Sparrow Club to perform community service to help Corbett student with osteosarcoma. 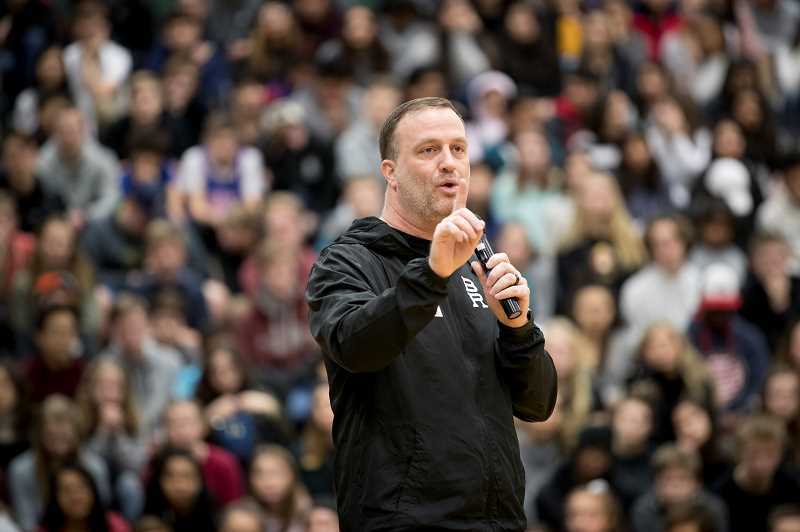 Students at Tigard High School recently began gearing up to help one of their own — a high school senior afflicted with a rare form of bone cancer. During a kick-off assembly last month, Tigard High School's Sparrow Club announced it was adopting Jakob Witczak, a Corbett High School senior who was diagnosed last November with osteosarcoma. To reach the diagnosis of his disease, the Gresham youth was subjected to a battery of tests including scans and a painful bone biopsy. Jakob missed the recent assembly because he was recovering from surgery after having 7.6 inches of his femur, or thighbone, removed. His knee was removed as well by surgeons at Oregon Health & Science University Hospital, before they replaced both body parts with titanium implants. During the assembly, Laura Queen, representing local Sparrow Clubs, and members of Tigard High School's Sparrow Club, talked about Jakob's plight and how they were going to raise funds for the teen and support him. 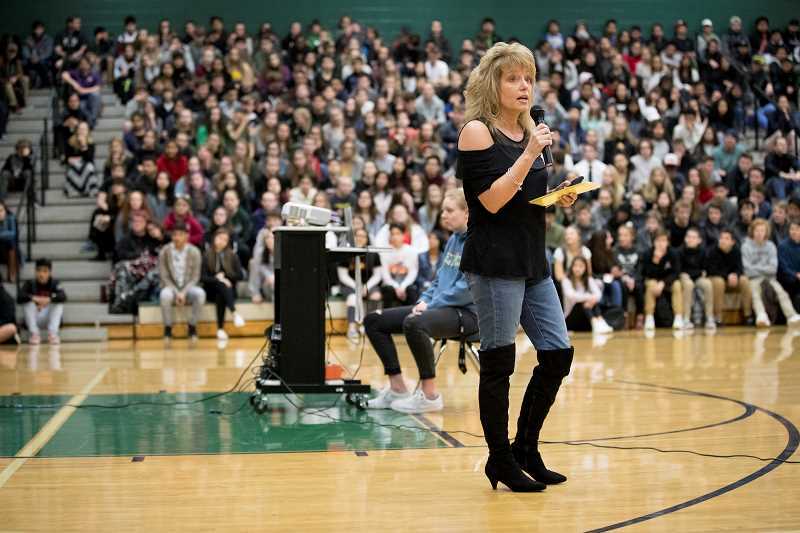 Queen challenged the Tigard students to not only to be compassionate but also to have a connection with other people in their lives. She also reminded them that Jakob is "a high school student just you, whose life was totally turned upside down in November." "This isn't a little kid, this is someone just like you," she said. 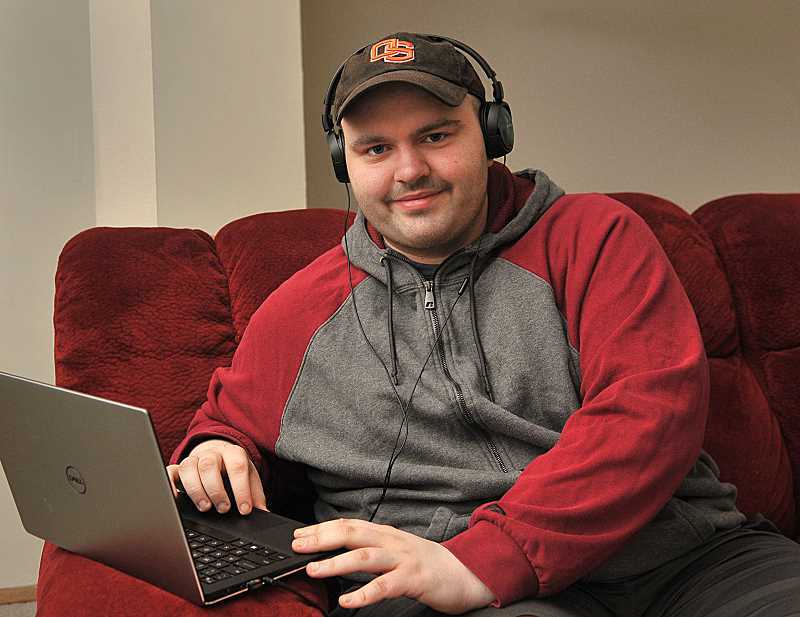 A national organization, Sparrow Clubs provide financial and emotional support for young people with a medial need while providing charitable service to others. This year, the Tigard franchise of Black Rock Coffee is sponsoring efforts to help Jakob out, according to Corey Burket, corporate operations and franchise director for Black Rock. That means for every hour of community service provided by Tigard students, the Tigard franchise, run by Justin Lesher, will donate $10 to help Jakob and his family. 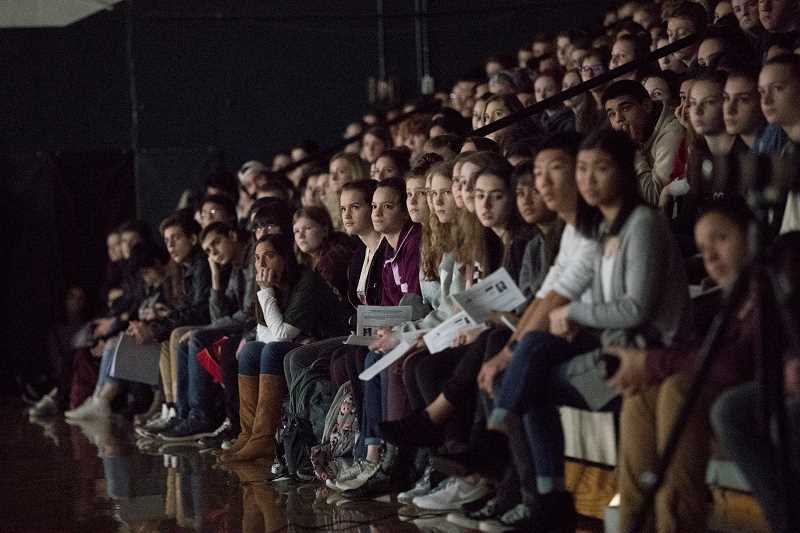 "We say we do caffeine, connection and community," Burket said during the assembly. 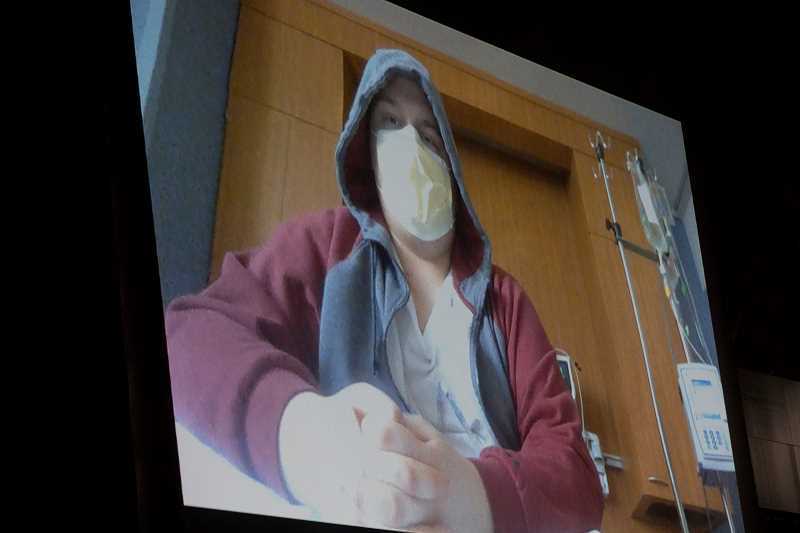 Via video, Jakob explained the implications of his disease to students. "I spend more time at the hospital than I do at home," he said. He explained (with sarcasm) his "bone replacement which is so much fun," before thanking students for adopting him. During a later interview, Jakob's mother, Jeanette, said her son has what she believes is too often a rarity, showing extreme sympathy and empathy to those around him. One of her son's great loves is attending the school district's annual Outdoor School as a field instructor. The program gives sixth-graders three days of adventures outdoors in a program that is life-changing for some of the attendees. Jeanette said her son, who recently turned 18, has a positive attitude about life in general. "Jakob is always known for having a smile," she said, noting that his Nov. 22 cancer diagnosis wasn't enough to drag him into despair. "Even at the end of the day, he still had a smile." Jeanette said his concern for others often surprises Jakob's doctors and caregivers, catching them off-guard at times. "The first thing Jakob does, he always asks, 'How did you sleep?' (or) 'How is your day?'" said Jeanette. She said one student at Jakob's school was surprised to learn of his diagnosis, immediately asking his mother why something so devastating was happening to "the nicest kid in the school." A bit shy by nature, Jakob recently said during a telephone interview that he's feeling all right, focusing on his recovery while thinking about things he's missing. "I definitely miss school," he said. "I really do." For his part, Jakob lists writing as his favorite school activity, something he said he's pretty good at. "I like to write short stories and stuff, creative stuff," he said. He also said he loves assisting at Outdoor School, especially helping the younger students to adjust to their surroundings. "I just like everything about it," he said about the program, which he'll be unable to attend this year because of his treatment. Jeanette said one of Jakob's biggest supporters during his ordeal has been his 15-year-old sister Lindsey. But both Abby Lam and Trevor Rabosky, president and vice president, respectively, of the Tigard Sparrow Club, say they're glad to help Jakob as well. Lam has been involved with the organization since her sophomore year and thoroughly enjoys it. "It's just great helping them out and being part of their lives," she said. Rabosky said he likes what the program is able to accomplish. "This is the first year (there's a Sparrow) in our grade and that really impacts us because it makes it more real," said Rabosky. "I really like seeing everyone get together for one common cause." Meanwhile, Jakob said it mean a lot that the Tigard High's Sparrow Club adopted him this year. "I think it's really cool," he said. "It means a lot." With Jakob's surgery completed, he must now endure a total of 30 weeks of chemotherapy, which will end about the second week of July. The prognosis for osteosarcoma is 70 percent to 80 percent survival five years after diagnosis, Jeanette said. Jakob is lucky because the cancer hasn't spread beyond the original tumor, said Jeanette, noting that an orthopedic oncology surgeon at OHSU said there were no cancer cells in Jakob's bone marrow when they removed a portion of his femur. Initially wondering if he shouldn't be treated at Doernbecher Children's Hospital — Jakob thought he might be able to give some emotional support to the children there — he demurred after he discovered that many of those patients being treated for cancer there are younger than 5. "He said, 'I can't see them sick; I can't see the little ones sick,'" said Jeanette. "He still wants to find a way to help (them)." A final anecdote on the type of person Jakob is came when Jeanette asked her son if he wanted her to shave her head in deference to him losing his hair because of his chemotherapy sessions. "He said, 'No Mom, you don't have to do that," recalled Jeanette. "He doesn't want other people to suffer just because he's suffering."